The Finance Minister announced the formation of the Financial Sector Legislative Reforms Commission (FSLRC) during his Budget speech of 2011-2012 to rewrite and harmonize financial sector legislations, rules and regulations. This had become necessary as the institutional framework governing India’s financial sector was built over a century. The Resolution notifying the FSLRC was issued by the Government on 24 March 2011. The FSLRC is required to submit its findings within a period of 24 months. 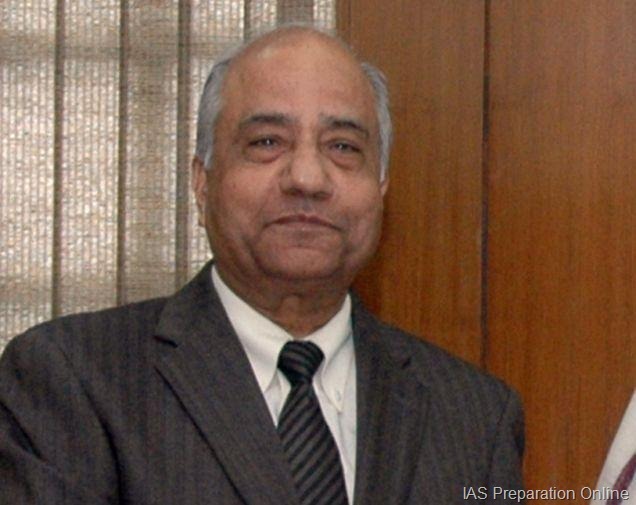 The FSLRC is chaired by former Judge of the Supreme Court of India Justice B.N. Srikrishna. Apart from the Chairman, the FSLRC consists of 9 other members and a Secretary. There are over 60 Acts and multiple Rules/Regulations in the financial sector and many of them date back decades when the financial landscape was very different from what is obtaining today. Large number of amendments made in these Acts over time has increased the ambiguity and complexity of the system. The Commission has to comprehensively review them and rewrite them for a modern financial sector in tune with the aspirations of the resurgent Indian economy. A government-appointed panel on Friday proposed a unified regulator for markets, insurance, commodities and pensions. It proposed to keep banking out of its purview, but only temporarily. The panel, whose proposals could change the financial landscape of India, also suggested five additional agencies, including an appellate tribunal that would subsume the Securities Appellate Tribunal (SAT). The suggestions were made by the Financial Sector Legislative Reforms Commission, formed in March 2011 to rewrite and harmonise financial sector laws. The commission, headed by retired Supreme Court judge B N Srikrishna, said RBI was there for monetary policy and enforcing laws in the banking sector. This system should be retained, it said, but only for now. When the unified regulator, to be called the Unified Financial Agency (UFA), got some experience, the panel said, RBI should be merged with it. The panel suggested that the Securities and Exchange Board of India (Sebi), the Insurance Regulatory and Development Authority (Irda), the Pension Fund Regulatory and Development Authority (PFRDA) and the Forward Markets Commission (FMC) be subsumed under UFA. It suggested doing away with a multiple-agency structure for foreign capital inflows. Foreign direct investment (FDI) policy is now framed by the Department of Industrial Policy and Promotion. But the proposals are cleared by the Foreign Investment Promotion Board, after clearances from other agencies. The final report is also likely to suggest a sunset clause of 10 years for financial sector laws. Though the proposal was not part of the approach paper released in October 2012, the commission had indicated some legislations were obsolete and irrelevant in the current context. The approach paper had proposed moving from eight financial regulatory agencies to seven, to achieve economies of scope and scale. Besides UFA, RBI and the appellate tribunal, the four agencies proposed are: The Resolution Corporation to watch financial firms that have made intense promises to households and intervene when the net worth of such firms nears zero; the Financial Redressal Agency to address consumer complaints against financial sector companies; an Independent Debt Management Office, and the Financial Stability and Development Council, both with statutory powers. The Securities Appellate Tribunal (SAT) might be subsumed under the Financial Sector Appellate Tribunal, to hear appeals against RBI on regulatory functions, the Unified Financial Agency, decisions of the Financial Redressal Agency and some elements of the work of the Resolution Corporation. “Most of the recommendations are in line with the approach paper. But there are certain issues on which we have now more inputs. So, they have been modified. The approach paper had also said there was a need for separating the adjudication function from the mainstream activities of a regulator, to achieve greater separation of powers. It had stressed independence of regulators, as the government has the power to issue directions to regulators. The commission proposed this power be removed. It was in favour of temporary capital controls based on economic conditions, rather than opting for permanent decontrol. legislation clear and transparent to users of the law and to the Courts. (iii) Examine if public feedback for draft subordinate legislation should be made mandatory, with exception for emergency measures. (iv) Examine prescription of parameters for invocation of emergency powers where regulatory action may be taken on ex parte basis. (v) Examine the interplay of exchange controls under FEMA and FDI Policy with other regulatory regimes within the financial sector. (vi) Examine the most appropriate means of oversight over regulators and their autonomy from government. legislation on the basis of judicial decisions and policy shifts in the last two decades of the financial sector post-liberalisation. (viii) Examination of issues of data privacy and protection of consumer of financial services in the Indian market. (ix) Examination of legislation relating to the role of information technology in the delivery of financial services in India, and their effectiveness. (x) Examination of all recommendations already made by various expert committees set up by the government and by regulators and to implement measures that can be easily accepted. (xi) Examine the role of state governments and legislatures in ensuring a smooth interstate inancial services infrastructure in India. (xii) Examination of any other related issues.